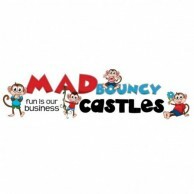 Mad Bouncy Castles specialise in hiring out fun themed bouncy castles in and around Northampton. We have a awesome selection to choose from they all come in a varied of sizes and themes, such as our very popular superhero and princess bouncy castles which are the ideal choice for children's birthdays. We have a larger selection of bouncy castles if your looking to hire for bigger events, weddings, school fun day's and so on. Our party bounce and slides are proving to be a big hit for all types of events big or small. Best of all we now have a an online booking system on website where you can now check availability to even making and managing your bouncy castle booking online, give it a try your br pleasantly surprised how easy it is to book a bouncy castle for your party in Northampton.